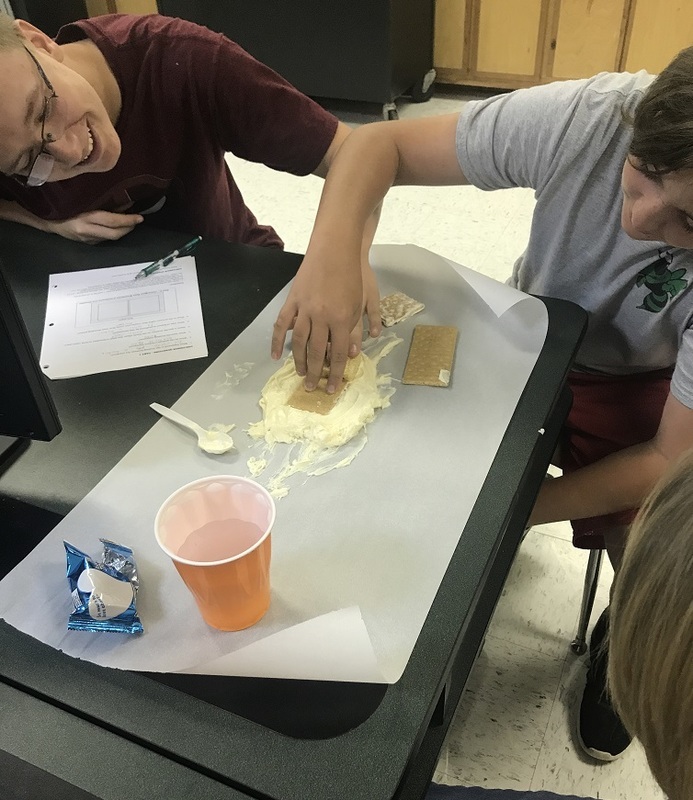 Ms. Blankenship’s 8th grade classes have been learning about the theory of plate tectonics and the different types of interactions that occur at the plate boundaries. 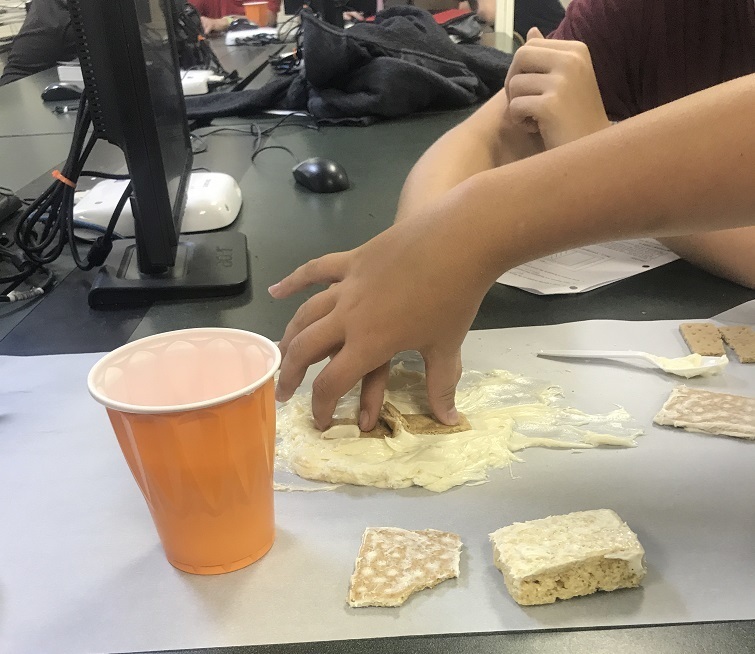 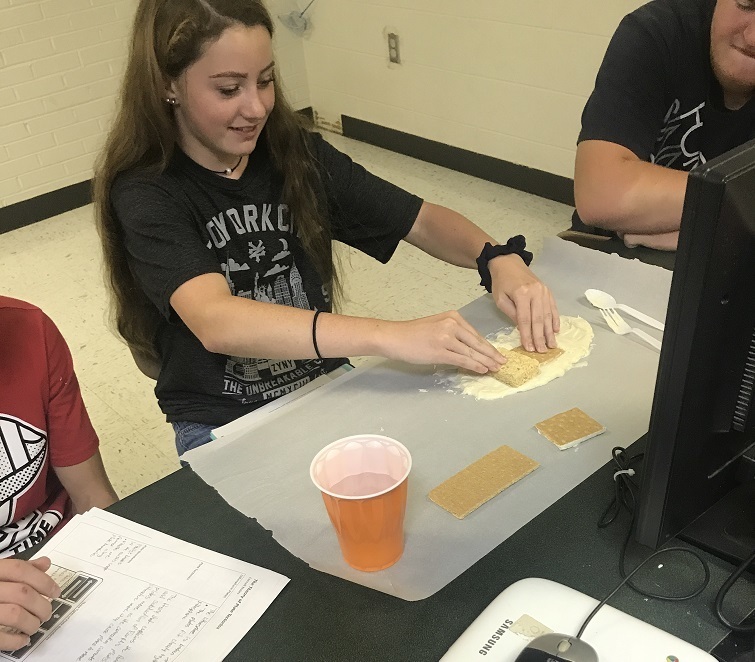 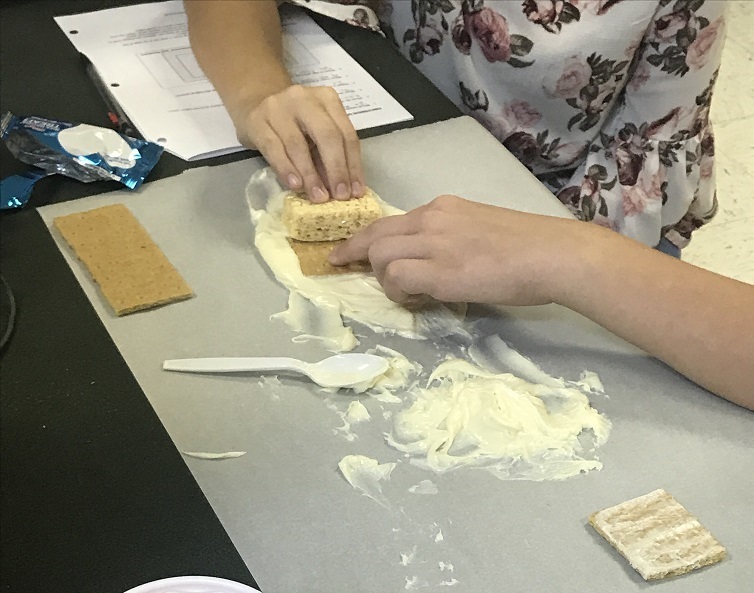 In this lab students used graham crackers and rice crispy treats to represent the Earth’s crust and frosting to represent the molten liquid layer of the Earth where convection currents take place. 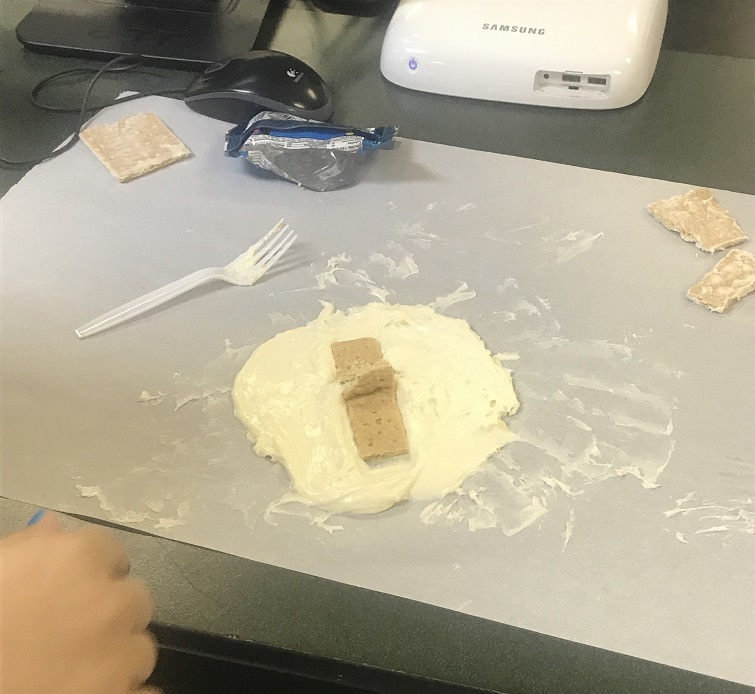 Using these materials and their knowledge of plate boundaries, students were able to create faults, trenches, mountains, volcanoes, and model the process of subduction.